The BEST oyster bar Jensen Beach has ever seen! 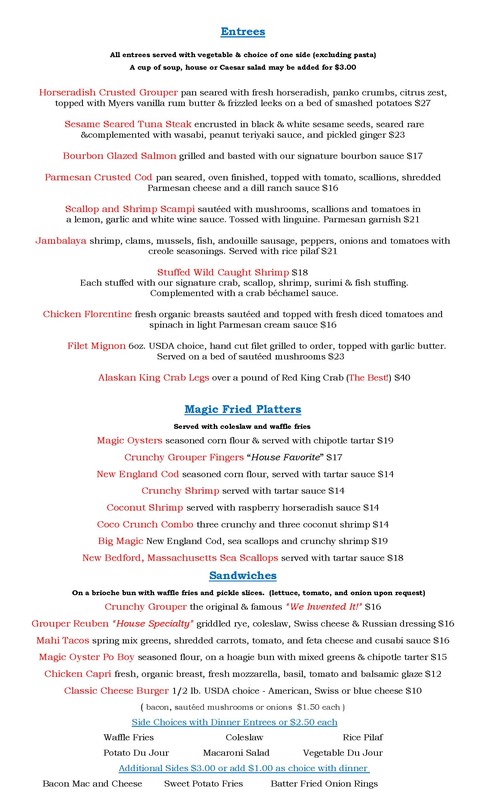 The Magic Oyster’s varied selections of fresh oysters and unique seafood plates will never cease to amaze you! 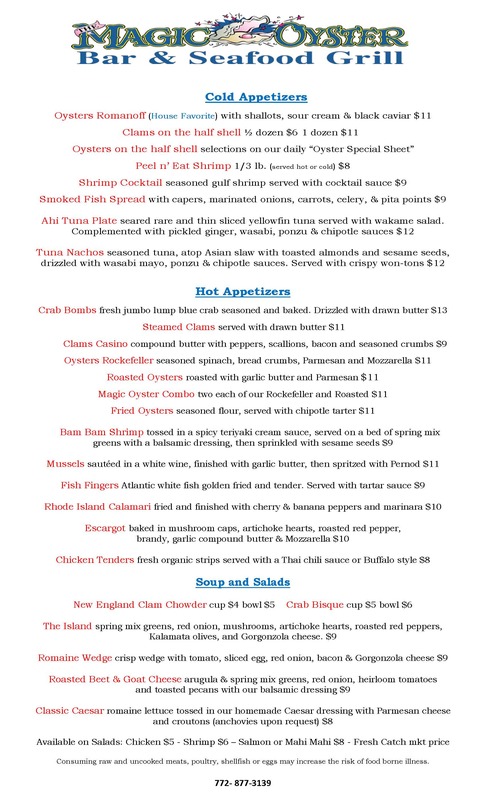 Get your tastebuds ready for our delicious dinner menu! $1 Off liquor, beer & wine!